Sophia, a life-like humanoid created by Hanson Robotics, is an AI-powered robot physically modelled on Audrey Hepburn. 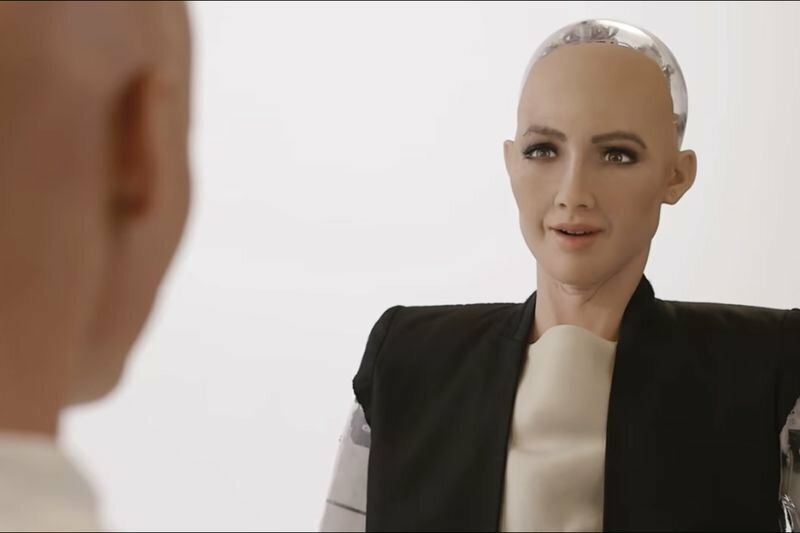 Sophia can maintain eye contact, recognize faces, understand speech, hold natural conversations and simulate human personality. Sophia's mind is cloud-based AI that enables deep-learning data analytics to process the data she gathers, plus she has a bio-inspired skin and unique Hanson technology which generates life-like expressions. Designed primarily as an entertaining interface for AI, Hanson’s robotic inventions are already helping teach science to kids and, in future, are destined to carry out high-level medical diagnostics with the, rather scary, potential to surpass human intelligence. Although Sophia is his most advanced and successful (not to mention sensationalized) robot to date, Dr Hanson and Hanson Robotics are already knee-deep into their next project – Professor Einstein – and are exploring ways to bring advanced robotics, AI, and machine learning technology to the general public. Have a look at the video below of Sophia and how she can keep a conversation going. Let us have your thoughts in the comments below.